Typefaces are used in an everyday basis by many of us around the world. It is a specific design type. For example: if you were to use ‘Garamond’ in a document, this would be the typeface that you see. However, if you decided to use this typeface in different sizes (8-point, 24-point, etc) this would be considered as the font. In this blog, I will be looking at some examples of people who created the typefaces we know and use today. These examples include: Garamond, Baskerville and Caslon. Claude Garamond (1480) was a French type designer based in the city of Paris. He also worked as a publisher and punch-cutter during his active years. Garamond’s main job was to engrave punches (these were made from steel to create matrices). Many of his designs were based upon the leading designs created by punchcutter Francesco Griffo for the Venetian printer Aldus Manutius during the year of 1495. Garamond has significantly helped to create the typeface we know today as the ‘old-style serif’ design. These characters resemble a handwriting style but includes a more upright and robust design. The typeface is used regularly in many books and texts. Many different contemporary versions have been created from the original typeface. Some of these include Adobe Garamond Pro and Monotype Garamond. Many of the contemporary typefaces created include bold weighted letters, slanted letters (Italics) or even letters that have a thinner weight to make them suitable for different uses in current modern times. John Baskerville (1706) was an English industrialist who began a career as a teacher in the art of calligraphy in addition to being a gravestone carver. The typeface was created in the 1750’s and is categorised as serif. It is a reformed version of the old-style typefaces created in the 1400’s. 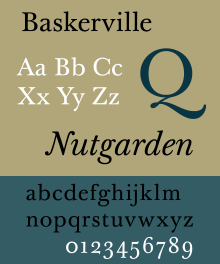 Baskerville started to revise the old-style serif typeface by increasing the contrast of both thick and thin strokes on each letter. This started to make the typeface look sharper as well as creating a ‘tapered’ design. In addition, Baskerville moved the axis of letters that were rounded and moved them into a more vertical position and made any strokes that were curved into a circular shape. The typeface created is used today in many books and has been also been given a more contemporary style, including a bolder text which was not available in the 1700’s. William Caslon (1693) was an English typefounder whose typeface revolutionised the English type design and helped to create an ‘English national typographic style’. Caslon worked as a Gunsmith engraving the locks and barrels on guns in addition to being an engraver of punches and a type designer. Many of his typefaces created were influenced by the ‘Dutch Baroque’ types mainly used in England before the time of Caslon. His typefaces were extremely popular and used for many different printed works, some of which were of high importance. In addition, the typeface was that popular that an expression was created, ‘When in doubt, use Caslon’. Caslon’s typeface featured letter design in the style of ‘old-style’ serif and resembled the structure of handwriting. Both ascenders and descenders on the letters are short. He also designed different styles of each letter, varying in both size and detail. However, after his death, these typefaces were no longer favoured as new typefaces had been introduced, but during the 1840’s, they were re-established. Many different contemporary Caslon types were created and are commonly used to this day. Where might Graphic Design be used? Graphic design is used everywhere. As discussed in my previous blog, (What is Graphic Design) we have seen that it is used for posters, logos and advertisements, etc. In this blog, I am going to explore where graphic design is used in each of the following: Film/TV productions, Computer games, Magazines/newspapers, Websites and Apps. All of these areas use graphic design to achieve their desired products but in different ways. Film and TV Productions: Graphic design is used very widely in film and TV productions. Without it, these productions would either not proceed or would be of a very poor quality. The first area that graphic design is used for is the creation of props to be used. These props can be used for dressing the set (books, upholstery and soft furnishings, devices), special effects (cars/people in dangerous situations) or to be used by the character (walking stick, umbrella, gun). Props are used to enhance the visual experience of a film and to help introduce a different dimension to the production. can either be similar to that of an actual product or completely different. On the subject of creating different logos for a product, an alternate logo/sign may be created for a business or several that are features within a production. For example: a business, restaurants and pubs, shops, etc. This is done for the same reason as why products need alternate stickers and wrappers. Graphic Design is also used in the promotional department. This is where posters, DVD artwork and print collateral are created to promote and support the production. In addition, graphic design is used in many different ways in the pre-production process, including VFX (Visual Effects). This can incorporate the design of the film titles, on-screen graphics and user interfaces. In conclusion, the Film and TV production industry uses graphic design on a very large scale to enhance the final outcome. Without it, many of the productions may not be of the quality we are used to. and people. When designing a character, they will need to be designed in detail. This includes how their skin will look (colour, features, etc) and the clothes that will be wearing (type of clothing, colour). The creation of the environment and scenery will need to be designed for the concept of the game story. For example, if a game was set in the desert, a desert with appropriate scenery would need to be created. In addition, graphic design is also used for the construction of props that are needed within the game, such as billboards, body armour, doors, etc. Props help the game look better and also give the player a more interactive gaming experience. Moreover, graphic design is also used for the creation of the user-interface of the game, allowing the user to play the game and change the settings. Promotional aspects are produced through the usage of graphic design too, including the game cover artwork and advertisements on posters or adverts. Magazines/Newspapers: Within the journalism profession, graphic design is used on a regular basis to create magazines and newspapers. This is usually used to produce the front cover and layout of the publication. The visual layout is extremely important as it will either attract the audience’s attention or it will not, meaning that the product will not be purchased. Images and artwork will need to be included in the paper to help as a reference and to address the articles written. dependent on the background used. The fonts of the titles will also need to considered. They need to be readable and also have some relation as to what they are being used in conjunction with. For example, if an article was written about the history of the wild west, an appropriate font would need to be used, similar to that used in that specific time period. In addition, the inside of the publication needs to have an acceptable layout and typeface. If the cover is impressive but the internal layout is not, the audience may not make the purchase. 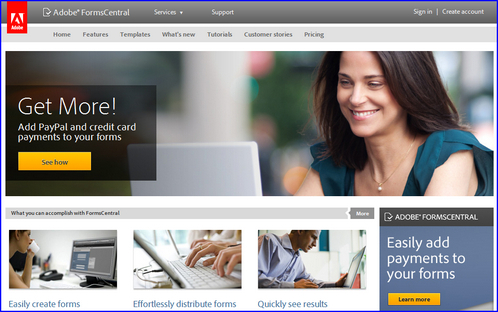 be clear and concise so any user can navigate the site easily. The use of texts will be included to inform the audience what the websites content is and images will also be added so as a reference point, in regards to the text or contents. Logos are also another area that graphic design is used. A company may decide to include a logo on their website to notify the audience who it belongs to. app’s icon as well as what will be included in the app, whether it will include a game or a news/magazine layout. If a game is to be created, the use of graphic design will be similar to that of creating a computer game, however, if the app will be a news design, it will be used similar to that of a magazine/newspaper publication. Conclusion: In conclusion, graphic design is used for many different creative reasons and is used almost everywhere. Without it, the world would look quite plain. It is used as a tool to communicate information visually when this cannot be done through the use of verbal text. The modern day world is full of graphic design. Everywhere you look, there will always be some type of graphic design in sight. This can vary from posters on billboards and flyers to logos and advertisements on TV. item. This would then be used to persuade the audience to use their new product. Many logos created do not have to be complicated, they can be simple, such as a tick or even a cross. For example: The Nike Logo. Even though this logo is very simple, it is very successful and is extremely well-known. The Swoosh was created to represent motion and speed through the use of a simple design. The colour palette used today is mainly a white or black swoosh being dependent on the colour of material used. high quality products and a joy of driving. Moreover, the logo was created in such a way so that it could be seen head on as well as at an angle. The logo also spells out ‘TOYOTA’. around the world. For example: London, Paris, New York, etc. 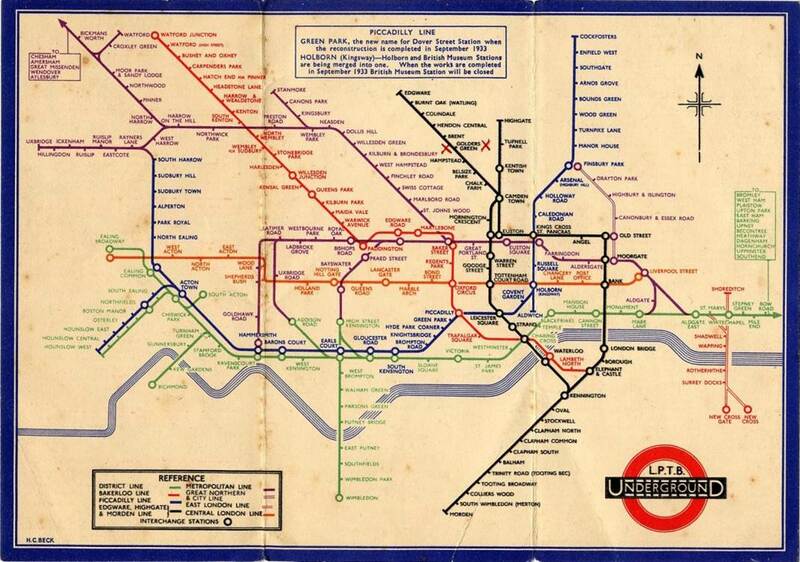 The map was originally created in 1926 by ‘Fred Stingemore’ who wanted to improve the underground route visually. now named in block capitals and presented as a small black dot and interchanges as a black outlined circle. 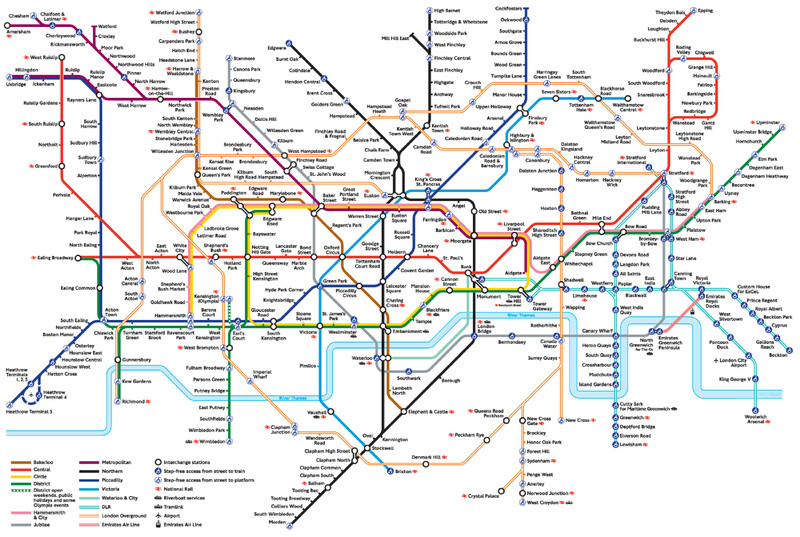 Over the years, the map has been altered slightly due to the addition of new stations and routes but is still recognisable due to it’s bright colours and straight lines to represent the different lines on the network. adminAdam on Where might Graphic Design be used? adminAdam on Typefaces and their Designers.